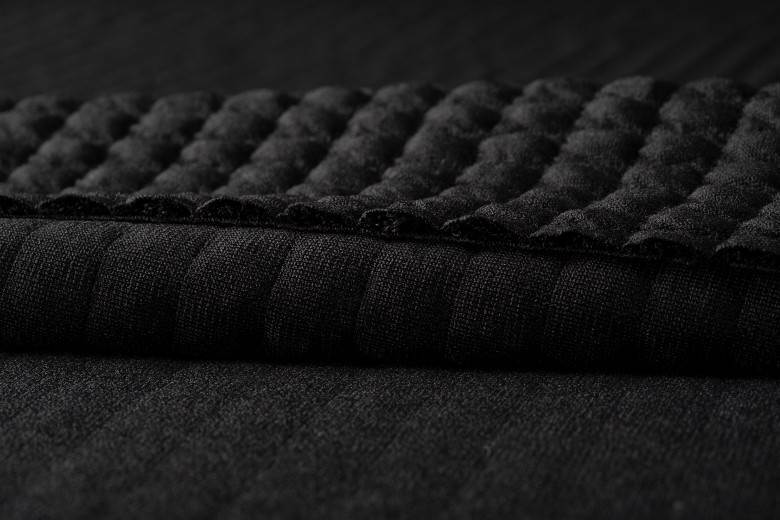 Textile solutions provider Polartec has unveiled a new fabric that it says reduces microfibre shedding as well as retaining warmth. It calls this innovation Power Air. The company has stated that Power Air is proven to shed five times less than other premium mid-layer weight fabrics. This is achieved by encapsulating lofted fibres within a multilayer, continuous yarn fabric construction during the knitting process. This is also said to result in better thermal efficiency. The initial release of Power Air features an internal grid structure on one side, which Polartec compares to a “fabric bubble wrap” that simultaneously holds air and increases breathability. The other side features a durable outer surface that is said to resist pilling and minimise drag. The company developed a whole new testing protocol to measure shedding due to home laundering while working on Power Air. This involves simulating dozens of launderings in a single cycle in order to accurately capture data about the microfibres lost over the fabric’s lifetime. The test can then accurately determine the percentage of weight loss due to shedding. Polartec Power Air was officially unveiled at Performance Days (November 28-29). The first product to feature it is a hooded jacket from adidas. Other brands including Houdini and Mammut will release their own products in the coming months. The company has called Power Air a “foundational technology platform” that it believes will eventually help reduce shedding in all existing categories, including insulation, lightweight next to skin materials and extreme weather protection fabrics.